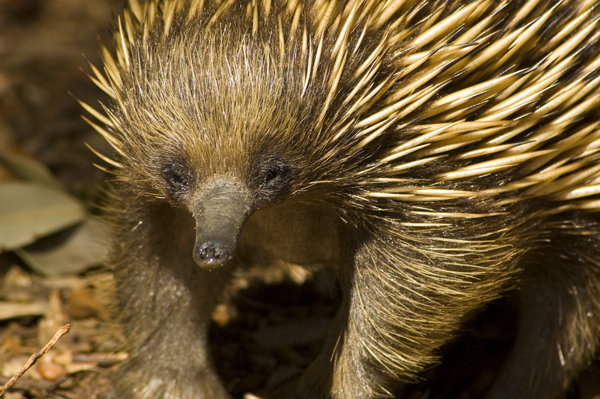 The short-beaked echidna is only found in Australia. Like the platypus it is an egg-laying mammal (monotreme). It uses its pointed snout and sharp claws to break into ant and termite nests to find its prey. It has few natural enemies - no doubt due to those long sharp spines.